This heavy duty steel construction 2 hour four safe will protect paper for 2 hours. This is a great safe for important duments such as passports, birth certificates, marriage certificates and insurance papers. Protect valuables, like your passport, birth certificate, deeds, and insurance information, from the effects of a fire or extreme heat. 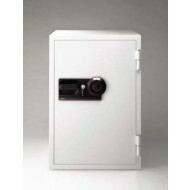 This is a security safe that has features to deter burglars such as the massive 1'' diameter live locking bolts reinforce the security safe and prevent door removal if the hinges are removed. 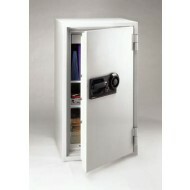 Store your jewelry and other valuables in this safe. The electronic lock means fast access. The MFS series provide high-end fire protection with its two hour fire protecdtion promise. Solid steel construction and heavy bolts add to its security from burglary. 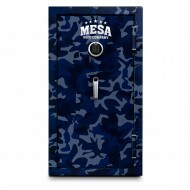 This is a safe to provide peace of mind about your important documents and valuables. It has an additional impact rating....if it would fall through the floor in a fire....it has been tested for a drop of thirty feet. Dropped thirty feet the MFS120's door did not break open. This fire safe features an electronic lock which is easy to program and use. This series of heavy duty Sentry safes are called "commercial" because they would work well in many work settings. 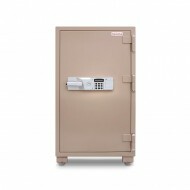 The S8731 large Sentry commercial safe has 1 hour fire protection to contents. The interior includes one removable shelf and a locking drawers at the top. The locking drawer provides good storage for small valuables and important papers such as passports. 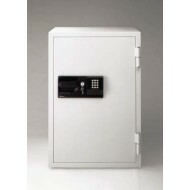 This model, S83771, is a dual lock Sentry commercial safe. The key must be turned first, the the combination must be dialed to open the safe. The commercial safes all come with built-in wheels.Sentry does not recommend bolting down these large safes. 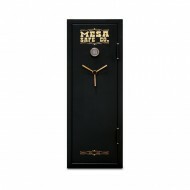 The dual lock means the key is required for accessing the safe. Built for security. 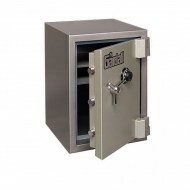 3" body construction and a 2" thick door make this a heavy duty safe. It features an independent glass relocking system, two 1 1/4" chrome plated locking bolts, and a U.L. Group II Rated lock from Seargent and Greenleaf lock keep this safe securely closed from intruders. RSC Rated. The two tone paint job with a powdercoat finish is both attractive and durable. A 3 spoke chrome plated locking handle adds a classic and attractive look to the safe. This safe is built to protect against fire. This fire safe comes with a K.I.S. fire rating. Two adjustable shelves makes this safe configurable for your needs. An anchor hole with bolt down hardware will keep this safe where you want it. 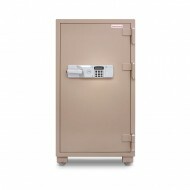 Model S8771 is the largest Sentry commercial safe. Sentry calls this series "commercial" because they are large and would make good storage for the office of a factory for example. However, there is no reason not to use these for a home safe to store all your valuables, important papers, memorabilia, etc. 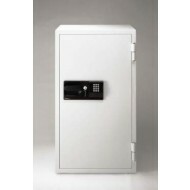 The S8771 comes with; UL rated 1 hour fire protection.This is a dual lock safe. The key is turned first and then the code is entered on the electronic key pad. At the top, of the interior there is a locking drawer for small items and papers such as passports, check books, etc. Sentry does not recommend bolting down these large safes.